down the nation's ports as a result of the poor conditions of the port access roads. It would be recalled that the Union had about a year ago signed a Memorandum of Understanding (MoU) with the Federal Government to have the Tin- Can Island end the Apapa-Oshodi Expressway fixed. 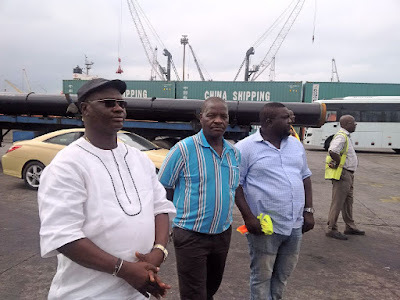 President-General of the Union, Comrade Adewale Adeyanju, stated this while receiving Alhaji Ahmed Gambo, the Executive Director, Maritime Labour and Cabotage Service of the Nigerian Maritime Administration and Safety Agency (NIMASA) who paid a working visit to the Union weekend. Adeyanju noted that the MoU signed by the Union and the Government in 2018 for the repairs of the Ijora-Apapa and the Oshodi-Apapa Expressways before the end of the second quarter, had elapsed. Acknowledging the government’s efforts at reconstructing the Ijora-Apapa axis of the road, Adeyanju said government had however failed to do same for the Oshodi-Apapa road. He, therefore, called on the government to make actionable efforts at getting the deplorable portion of the roads fixed. 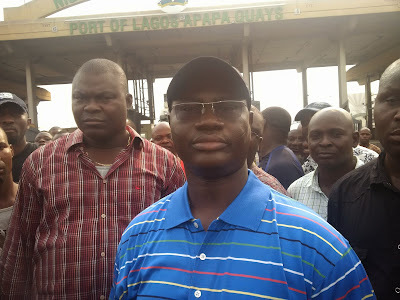 Adeyanju said:“The vice president of this great country came to visit the port last year. He saw the situation of the port and a contract was awarded to the same man constructing the Wharf Road linking Apapa port, but we want to know what is happening to Tin-Can Island port access road. The Union Boss said it had remained difficult for port users and others to access the Tin-Can Island Port, just as it is difficult to access Mile 2. He noted that the Union had since last year, during a meeting held, requested for an upgrade of the roads through palliative measures, because Apapa was still under construction at that time. The Union is now very concerned about the deplorable condition of the Tin-Can port access road.